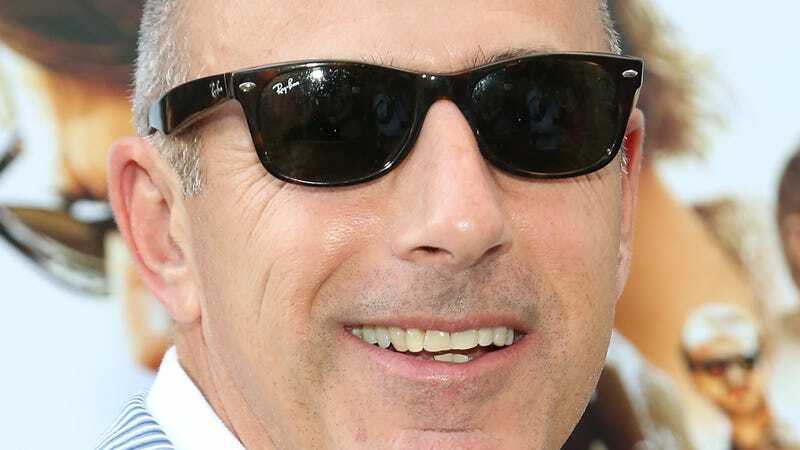 I was going to make this morning’s top story about Demi Moore allegedly hooking up with Nick Jonas after the two were set up by her daughter Rumer Willis (a rumor I don’t necessarily believe but enjoy considering), but this Page Six story about Matt Lauer forgetting his place in this world is just too infuriating to pass up. 1) Today has never—in my time as a viewer—used the right music to kick off a segment. Their incongruous, semi-deranged music choices (presumably a byproduct of NBC-Universal synergy) are a hallmark of the show. 2) Lauer should have known that no Today staffer with an ounce of good sense would be seeking professional advice from the show’s most universally despised (with good reason, I must add) former employee. 3) Lauer has been a famous New Yorker for decades, and should know that an email of that nature is precisely the kind of thing that ends up on a well-trafficked Page Six story.